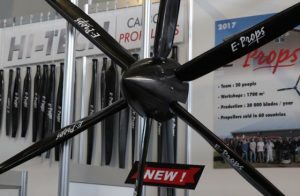 Carbon Fiber E-Props are simply the Smoothest Propellers money can buy! Not only are they multi-bladed, but the number of degrees varies between blades creating an even smoother pulsation experienced with pusher props. 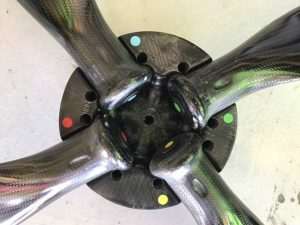 Even the hubs are Carbon Fiber making them the Lightest Weight Prop Available! Among other benefits, this makes start up and shut down on the 9 Series Rotax engines smooth and easy on the gear box. Performance is second to none due to its Advanced Design. Using High aspect ratio blades with very unique airfoils provide greater efficiency while providing both low end punch and top end pull most props cannot match. With FREE SHIPPING and a MONEY BACK GUARANTEE, we are confident you will be Amazed by the Smoothness and Performance of these 100% Carbon Fiber Propellers. 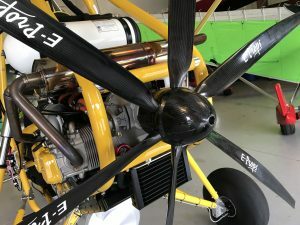 Featured here are 2 of the most popular examples from E-Props (other models from 30-150 HP available). 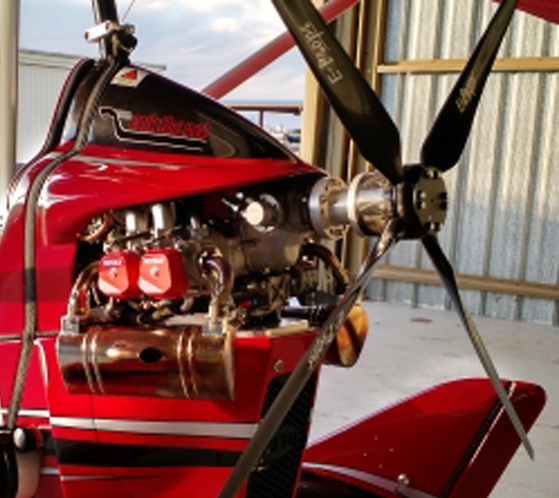 Larry Mednick Talks with Dan Johnson about these Amazing Ultra-Smooth props. Learn why REVO and others are switching to the 100% Carbon Fiber EXCALIBUR from E-Props. Worried about Durability? Want a metal leading edge? Take a look at impact damage done in a controlled test of a metal Leading edge in comparison with E-Props special High-Impact resistant resin. The results speak for themselves. 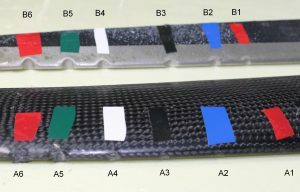 The solid Carbon Fiber leading edge not only has less damage, but can be easily repaired by the end user using a little 30 minute epoxy and sandpaper. 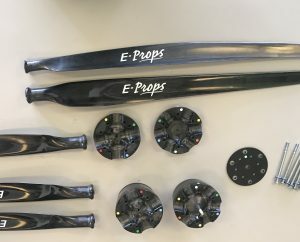 Because E-Props are polished Carbon, and not painted, they hold up to rain better than many other painted props on the market as well. Top blade from "brand X"
From unboxing the new prop to installing it. See how its done with all the tools and tips needed for an easy set up. Color coded blades allow the propeller to be assembled exactly as it was when it was Factory Dynamic Balanced. These props require no balancing! The EXCALIBUR uses Nordlock washers which means assembly and re-pitching is done easily without needing safety wire or nylock nuts. 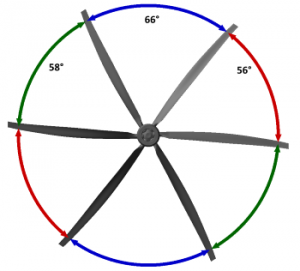 Just torque the bolts after pitching the blades with the included digital protractor and the assembly is complete. The truly unique dihedral hub design angles the blades forward and uses centrifugal force to counter the effects of blade flex under load. The end result is a smoother lighter propeller with virtually no tip flex at full throttle. EXCALIBUR 6-BLADE The Ultimate Gyroplane Fixed Pitch Prop!